Slovenia is becoming an ever more popular destination in recent years due to the numerous attractive vacation features it has, in particular for citizens of Europe. Slovenia's idea to focus on and develop health tourism is a flourishing success and this small country now has dozens of natural spas and health resorts. Using it's geographic advantages in terms of location and climate, Slovenia's development plan has created 15 of the most modern health resorts under the tagline “Through Nature to Health”. This spa tourism campaign has given Slovenia a rising number of visitors who are fans of the green Mediterranean coast. One of Slovenia's main natural wonders – Skocjan Caves; used under Creative Commons license. The Slovenian coastline is only 46.6 kilometers long, while the coastal towns of Piran, Izila and Kopar draw tourists with their original medieval structures and feel. Social media sites are loaded this summer with warm greetings by users from around Europe and the world during their vacations in Slovenia, who seem most impressed by the country's natural wonders. 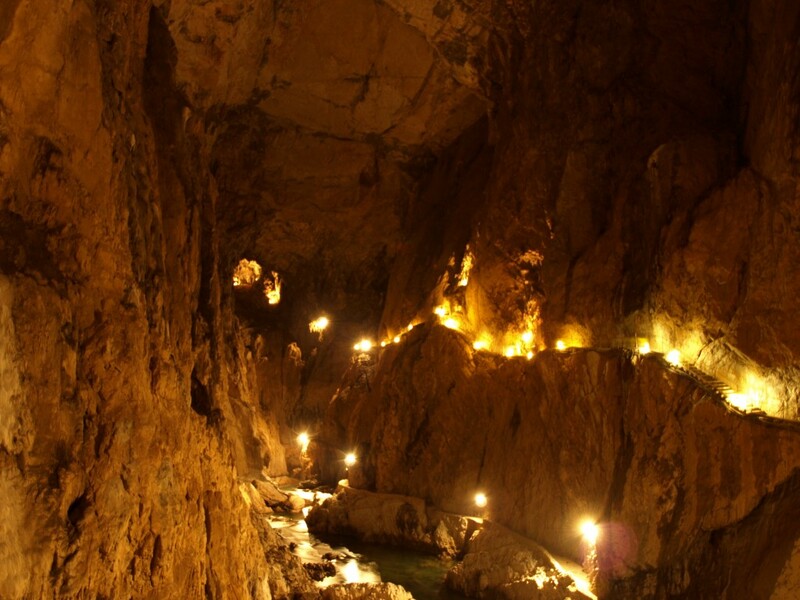 A Facebook page for caving enthusiasts shares photos by tourists of the amazing Skocjan caves. Another Facebook page, dedicated to summer in Slovenia, shares users’ photos of summer activities such as rafting. 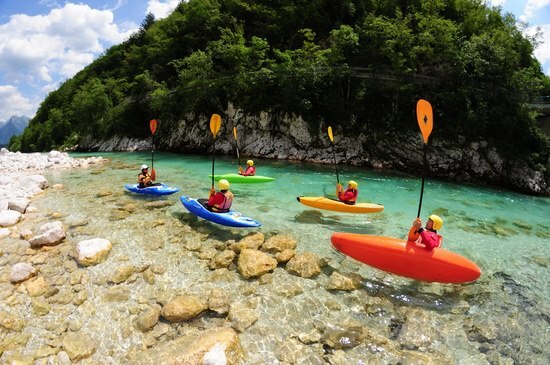 Kayaking lessons in Soča Valley; photo courtesy of Soča Rafting, used with permission. 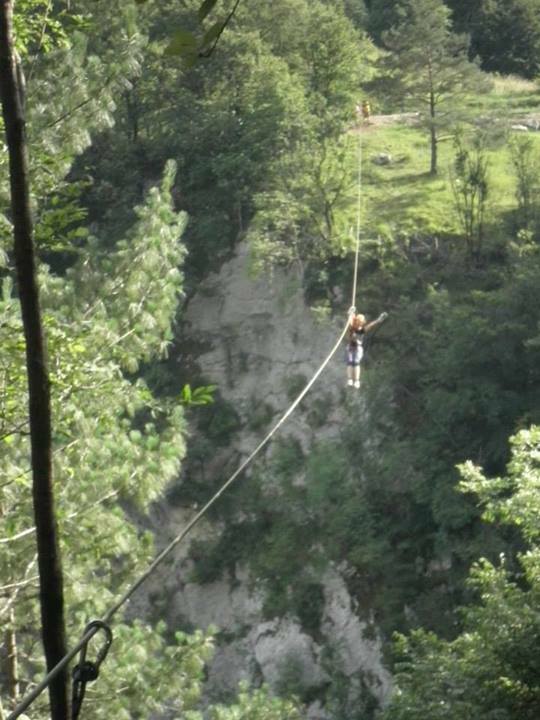 Soča Valley offers many activities and adventures; photo courtesy of Soča Rafting, used with permission. Slovenian lakes still attract the most attention from visitors, but Slovenia seems intent on drawing tourists’ attention to other sites and activities that the country has to offer and ABC News calls it vacationing in the heart of Europe.